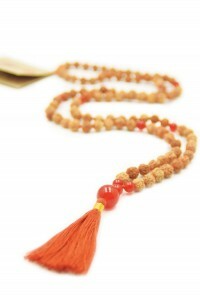 The mystical properties of Rudraksha mala beads have received worldwide interest. Their strength full of compassion and love leave the created man-made boundaries between religion and nationalities behind. The name ‘Rudraksha’ comes from Hindu mythology and signifies the tears of Shiva. Lord Shiva sat in meditation for the well-being of mankind and cried tears of compassion. The tears crystallized when they touched the earth and transformed into Rudraksha. 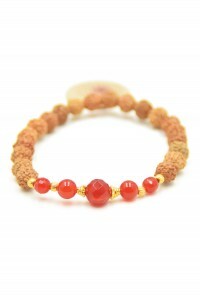 Since then, Rudrakshas are considered sacred as they have a healing effect on the owner or user. Therefore they are spiritually worn and used for puja and meditation by Hindus and Buddhists. 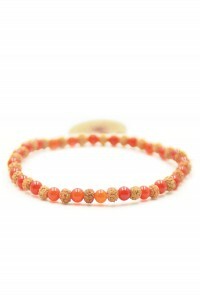 In the Vedas the Rudraksha are in addition to the use of malas, also known as Ayurvedic medicine. The production provides many jobs to locals. From planting the Eleacarpus (Rudraksha) trees on sustainable plantations in Southeast Asia, harvesting of Rudraksha and the making of sacred jewelry. Importantly, Rudraksha trees offer each season new Rudraksha and thus, no trees are sacrificed to make the malas. 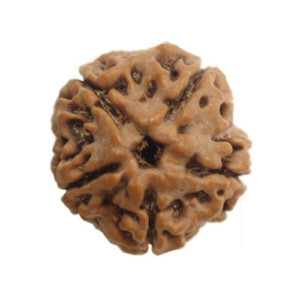 Rudraksha range in size from 3 mm to 40 mm. The smaller are the most rare and most expensive Rudraksha. 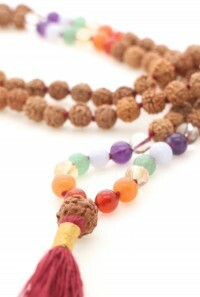 The rudraksha mala beads have a long life, it is known that they can last up to eight generations! 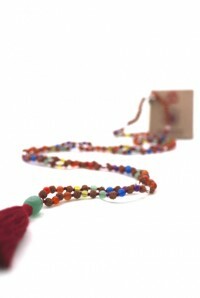 Important is that each bead has a number of segments, called mukhi. The segments can be seen on the outside. Thin lines from the top of the Rudraksha bead to the bottom of the bead show the amount of mukhi. The number of mukhi vary from 1 to 21. Each number has its own significance and has specific properties with associated benefits. 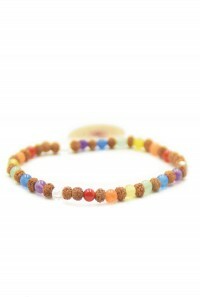 The Rudraksha bead that Mala Spirit use for the malas are those with five mukhi’s, this bead represents Lord Shiva. 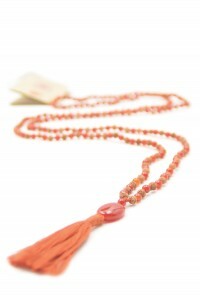 It is the most popular bead and is usually used in malas that are worn around the neck. 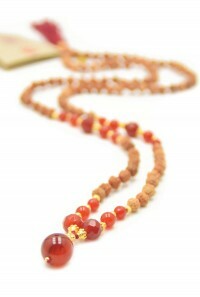 When the Rudraksha come in, every single bead is drilled in the same direction as that they are growing. 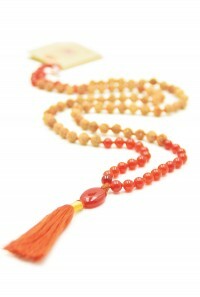 In this way, they are also tied into the mala. 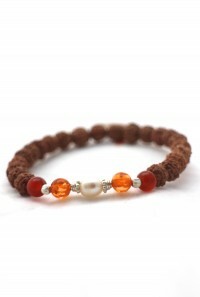 This is an important feature because it allows the prana – energy – to flow when the Rudraksha is integrated in the mala. The employees not only receive a fair wage, they also share 10% of profits of Aum Rudraksha. When the Rudraksha beads and gemstones arrive at the office in Bali and when they continue their journey to Europe, they are blessed by the dedicated staff of Aum Rudraksha. When they arrive at the office of Mala Spirit, they are stored in a energeticly clean space and cleaned regular with insence and sage.